‘Where Legends Are Made' encapsulates the return of PES, with new features, modes and an unparalleled gameplay experience.This year's edition brings the biggest changes to the award winning series seen in a decade, which will set a new standard for soccer games, and raise expectations for the future of the franchise. No part of PES 2018 has been left untouched, giving you new ways to play with a number of gameplay improvements, Online Co-op, Random Selection Match, and a complete presentation overhaul with lifelike player models, new menus and real player images. PES 2018 embraces the world of eSports with new integration of PES League across Online modes, including a new 3v3 competitive mode allowing users to join forces to win big prizes. 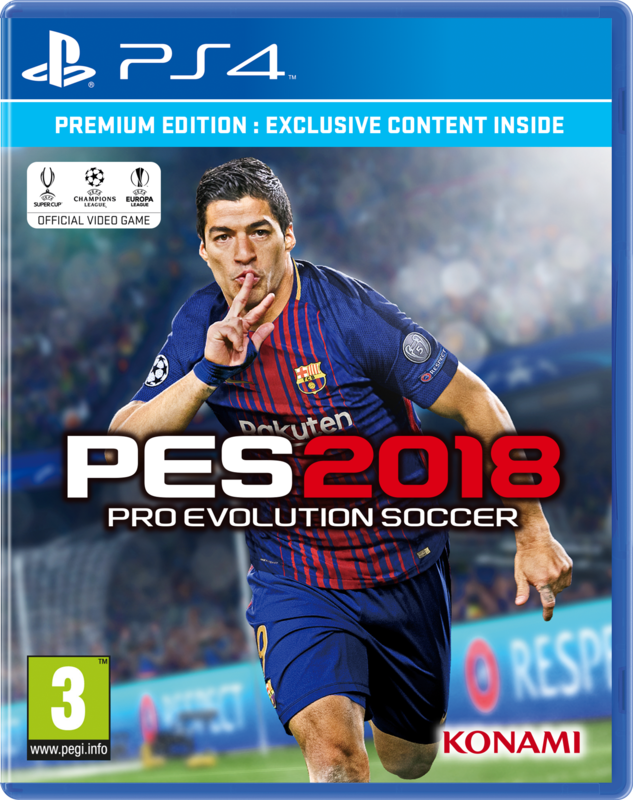 This, alongside bringing the PC version to a level that meets the quality standard of its PlayStation®4 counterpart, only scratches the surface of the significant changes to PES 2018. 1. GAMEPLAY MASTERCLASS – The world renowned gameplay quality has been finely tuned and refined to recreate the authenticity of the beautiful game, including a more realistic game pace. Strategic dribbling gives the user significantly more control in possession, with the addition of contextual shielding to protect the ball, as well as simple stick controls triggering realistic, subtle movements, to wrong foot defenders. Real Touch+ adds a new dimension to ball control, with full body touch allowing various parts of the body to control the ball based on the unpredictability of the ball movement. Set pieces have been reworked with a new FK and PK system, alongside the option to choose the new one player kick off. 2. PRESENTATION OVERHAUL – Brand new in-game redesign to the UI for all menus, as well as real player images added to the gameplan screen and myClub, give the game a new broadcast feel. 3. PES LEAGUE INTEGRATION – Compete in PES League in new modes including myClub, Random Selection Match and Online co-op. 4. ONLINE CO-OP – A new mode dedicated to 2v2 and 3v3 co-op play, with support for local guests. Play together with friends, take your team to the top or simply have some fun via one-off casual matches. 5. NEW MODES & FEATURES – The fan favourite Random Selection Match returns with new presentation and features. Experience life as manager in Master League with pre-season tournaments, an improved transfer system and new presentation elements, including pre-match interviews and locker room scenes. 6. ENHANCED VISUAL REALITY – Realistic visuals recreate the authenticity of football, all the way down to the finer details thanks to Real Capture. The benefits include true-to-life stadium lighting for day and night matches, pitch turfs and player tunnels that were recreated from more than 20,000 intricate elements of genuine data collected at the Camp Nou and Signal Iduna Park. Players have been motion captured in equally realistic environments, allowing for a complete rework of the animation system, starting with core movement such as walking, turning and body posture. Additionally, player models have been completely changed, with special attention paid to kit fitting and short size. Player’s photo scanned from partner teams will receive full body tattoos. 7. SIGNIFICANT PC IMPROVEMENTS – PC Steam version undergoes substantial enhancements in graphics and content, meeting quality standards and ensuring parity across all current gen platforms. PRE-ORDER TO GET THE PREMIUM EDITION AND IT'S CONTENT.